Dengue haven? 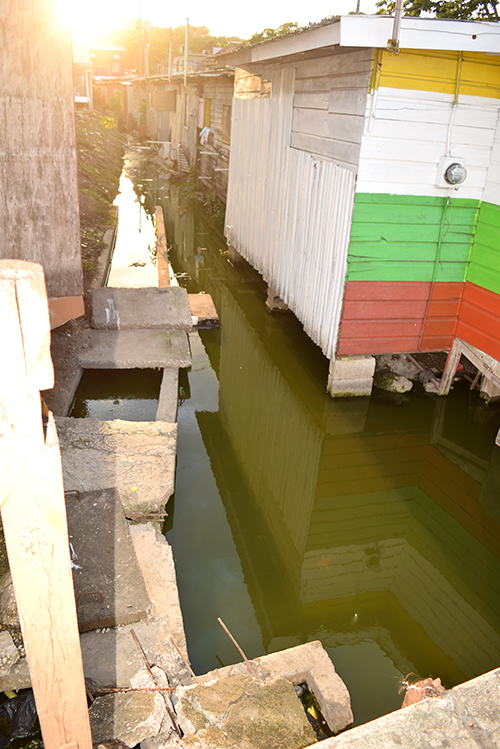 Serving as a perfect mosquito breeding site for Dengue, green murky waters have gathered behind a clothing shop in Bustamante Square, Lucea. If you should go on a stroll through the town of Lucea in Hanover, in about 5 minutes, you would have easily walked out the entire town. A small and dense area, the town is always crammed with people moving to and fro during the daytime. But as tiny and compact as the town is, its upkeep is in dire need of an upgrade. This town sees several thousand tourists and visitors traversing through on a monthly basis, but with an embarrassing lack of sites and attractions, they are not convinced to stop. The citizens who work and live in and around the town are fed up with the slow and lacklustre approach to development that is taking place there. Almost every other manhole cover has rotted, others are broken, and the gutters have a foul odor and are filled with garbage. The Stanhope Market is in a deplorable condition with poor lighting and unkempt stalls. On the outskirts of the city, drivers have to be maneuvering potholes galore on many of the roads. A visit to other neighbouring parishes would reveal that there are major improvements in the town areas, and other areas extending beyond the cities, but it’s the opposite for Lucea and its surrounding environs in Hanover. 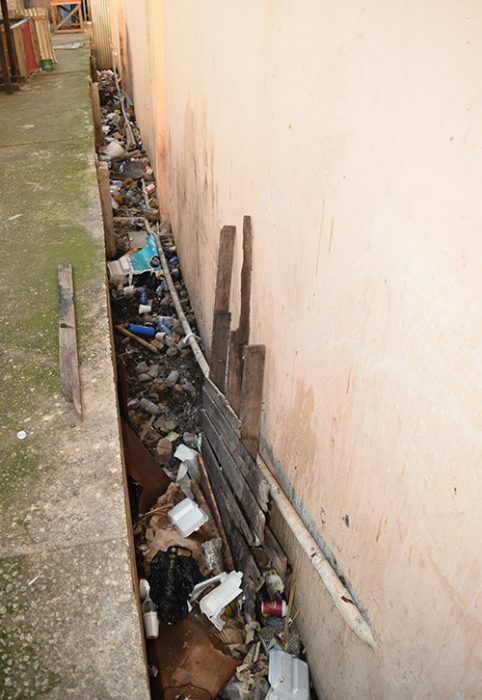 The young people are angry with the condition of the town and pointed out some of the facilities that are available in the other parishes, which are convenient and provide laughter and enjoyment that they could use. They were quick to vocalize that the parish has no Kentucky Fried Chicken (KFC), no Burger King, no movie theatre and no Tutti Frutti outlet.“What are we down here for? If we want KFC, we have to go to Montego Bay, which is about 30 miles from here. The people in authority need to do more for the development. Is it that Local Government Minister, Desmond McKenzie, doesn’t rate this parish to develop it?” questioned a female student of the Kenilworth HEART Academy. Residents of Lucea and surrounding areas in Hanover are now contemplating migrating to Montego Bay as the city offers better job and business opportunities. Small business operator in Lucea Maxine Brown, is one such person planning to relocate to Montego Bay in order to boost her business. “I plan to move to Montego Bay for a better living. This parish is too dead and old fashioned. It is the same way national hero Bustamante left it: same old market, same old buildings, only one thing them must have ‘licked’ down and is the Cliff Theatre on the main street. Is time for the people in authority to do something and improve the Lucea town; it comin’ like a ghost town. As it reach 7 p.m. the town almost empty,” said Brown. Despite player, in the BPO industry, Collective Solutions, being located in Sandy Bay, Hanover, persons are still migrating to Negril and Montego Bay to find suitable jobs in the hotels and call centres.